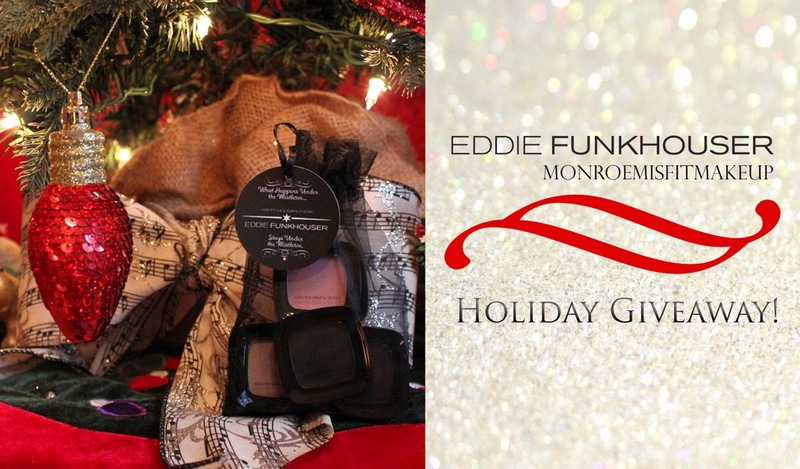 Monroe Misfit Makeup | Beauty Blog: Eddie Funkhouser 12 Days of Giveaways! Enter to Win Now! Eddie Funkhouser 12 Days of Giveaways! Enter to Win Now! Super excited to partner with my friends at Eddie Funkhouser and 11 other bloggers for 12 Days of Giveaways! 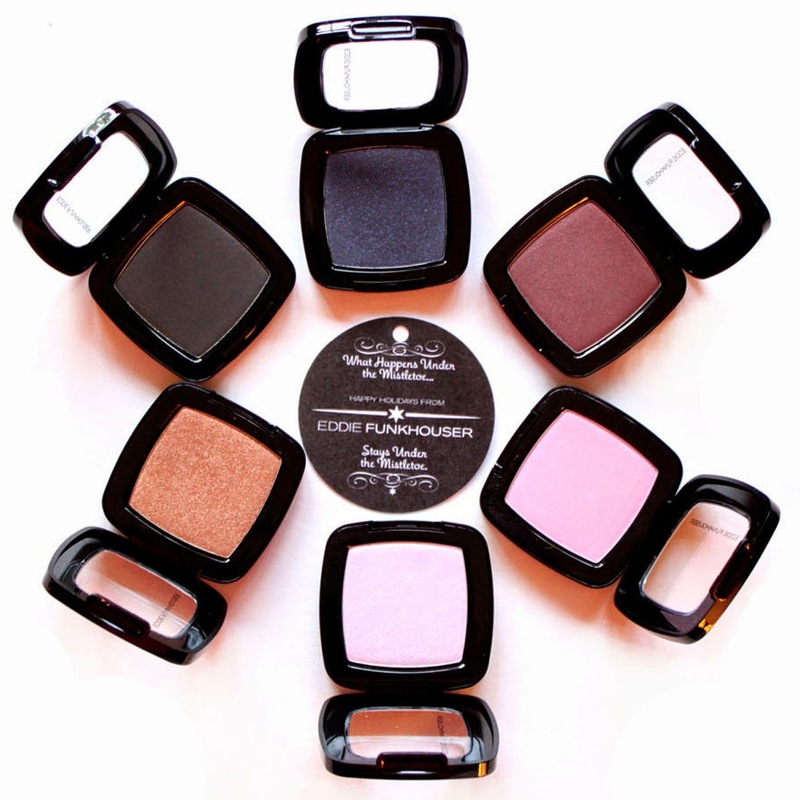 I'm giving away a set of 6 Eddie Funkhouser Hyperreal single eyeshadow's. A new giveaway launches each day December 5th through 16th. Check out the prize and enter to win below! Hypperreal eye colors are vibrant shadows with ultra smooth blendability for silky application that lasts. 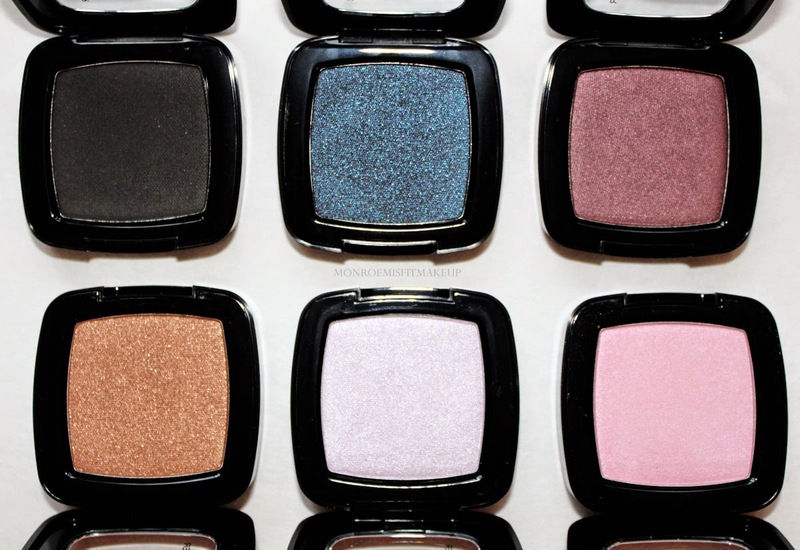 These shadows are beautiful, silky to the touch and pigmented. The versatile range of on-trend colors comes in multiple finishes- matte, pearl, and shimmer to create eye catching gradients, textures, and effects. If you read Belle Du Jour Collection Review Lavender Sky was a hit for its iridescent lilac flash. I'm happy to be giving a way a full set of these beauties because YOU WILL want them all. These shadows are luxurious with just stunning colors, long lasting smooth buttery textures, and no fallout not even with the black. Check that blue sparkle in All Nighter! Spanish Harlem and Stage Beauty is the combo of all combo's for Fall/Winter. Prize must be claimed 48 hours after notifying or new winner will be chosen. Enter every day! Good Luck! Visit here to Enter each Blogger's giveaway over the course of 12 Days! Be sure to follow Eddie Funkhouser on Twitter, Facebook, Instagram, and their blog for alerts and to enter each giveaway! Happy Holidays!